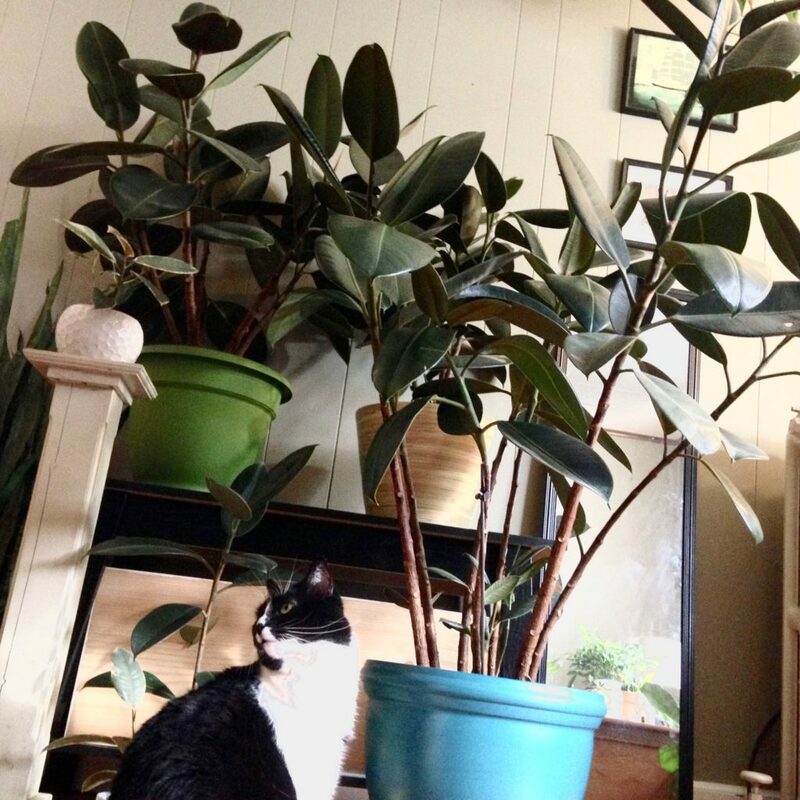 Since my blog is about pet safe plants, I wanted to take a moment and talk about the indoor rubber tree, ficus elastica. 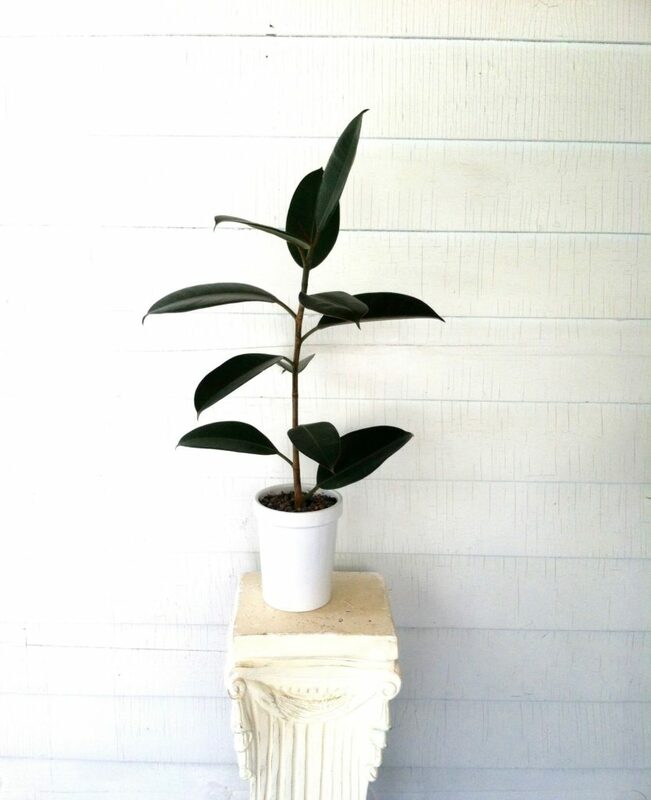 I always have at least one of my rubber trees in my photos, as I have over 10 of them in various parts of my house. 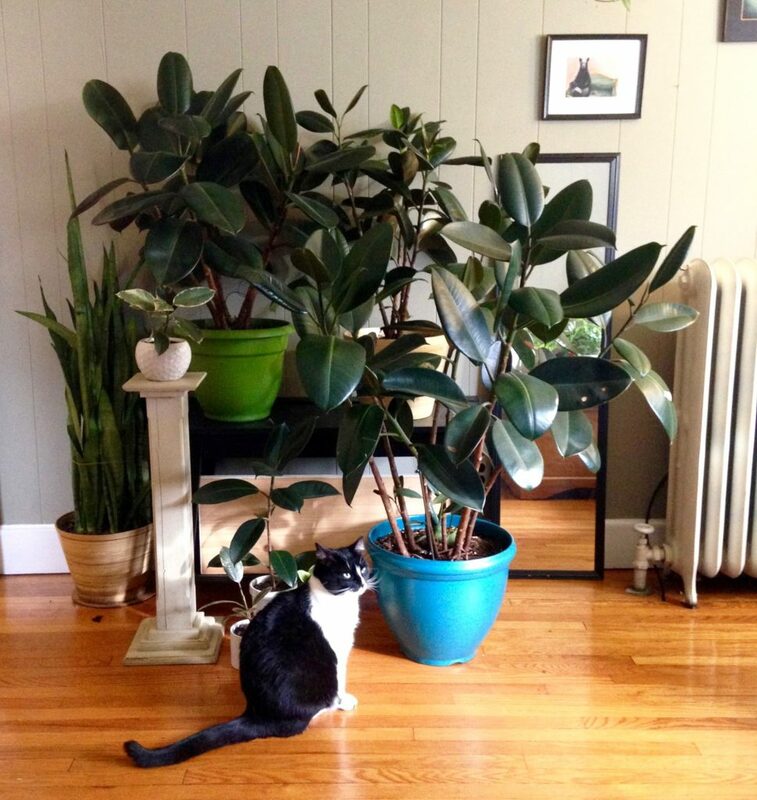 Although not 100% pet safe, rubber trees have become one of my favorite houseplants. My cats won’t touch or eat them at all, which is why I began to take a liking to them. Plus they are somewhat easy to take care of, grow quickly and are so unique – especially the giant fleshy leaves and their pink underbelly. My biggest rubber tree is Rudy, who has had quite the growth spurt the last year. I always knew my children would be taller than me one day…. I mention they aren’t totally pet safe – well, here’s why. 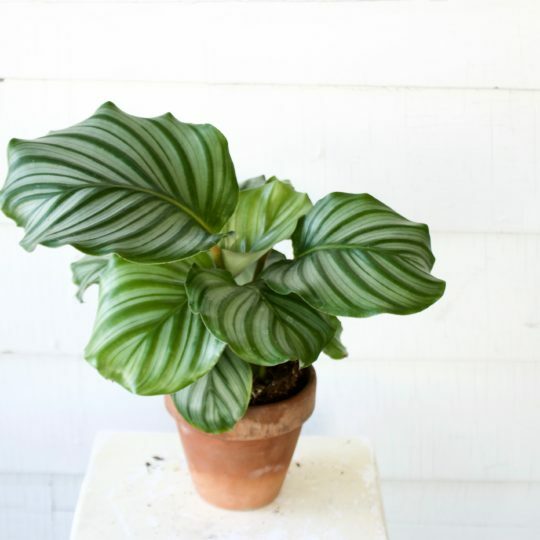 If you own one of these, you may have already encountered a milky liquid that comes out of the leaf it is punctured or taken off. This is partially why it’s called a rubber tree – that sap sticks to you and feels like rubber. Naturally if a cat or dog takes a nibble on the leaves, they would have quite a bit of oral discomfort, so they are labeled unsafe for pets for that reason. Nibbling is highly unlikely primarily because they don’t actually look like leaves. My cat has no interest in eating something tough, plasticy, and awful tasting. Fast forward and now I have 10 Rudys and my cats still don’t care. 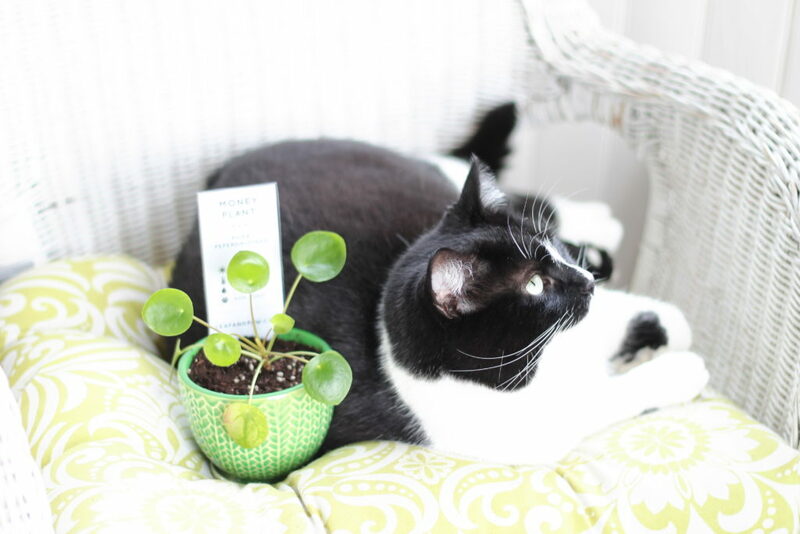 A pet safe cousin to the ficus elastica is Peperomia, which is 100% safe for pets. 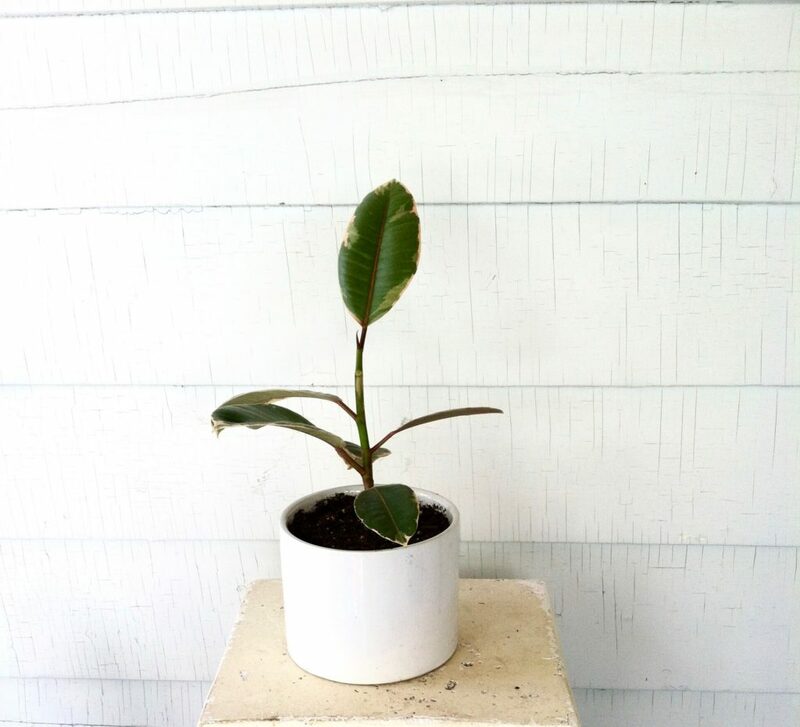 They’re smaller and sometimes called “american rubber plant” or “baby rubber plant.” A toxic member of the ficus family is the ficus benjamina, which can sometimes go by “Indian rubber plant,” but really looks nothing like a rubber tree at all. This variety is much more toxic, so I avoid this type of ficus altogether. 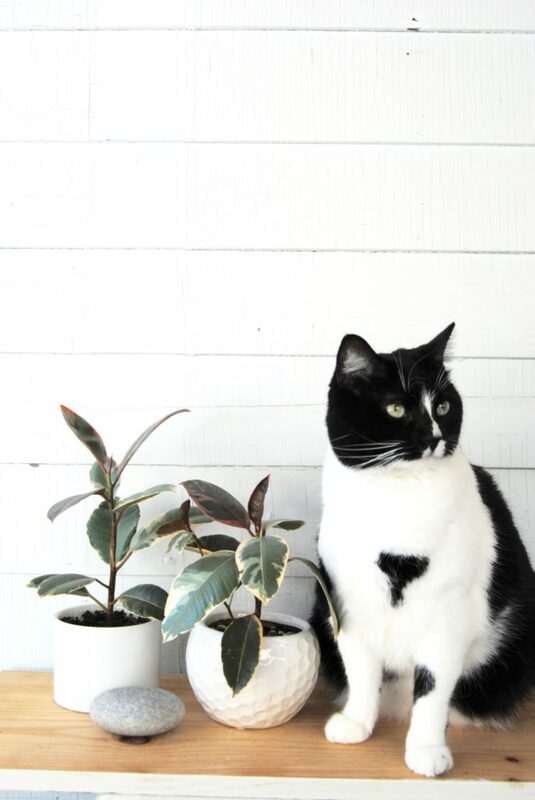 If you are looking to add a rubber tree to your collection but have cats, check the label to make sure it is either a ficus elastica or a peperomia, and take it home, monitor your pets for any interest, and you’ll know if you can buy 10 more in the near future. I’ve always wanted a rubber tree! 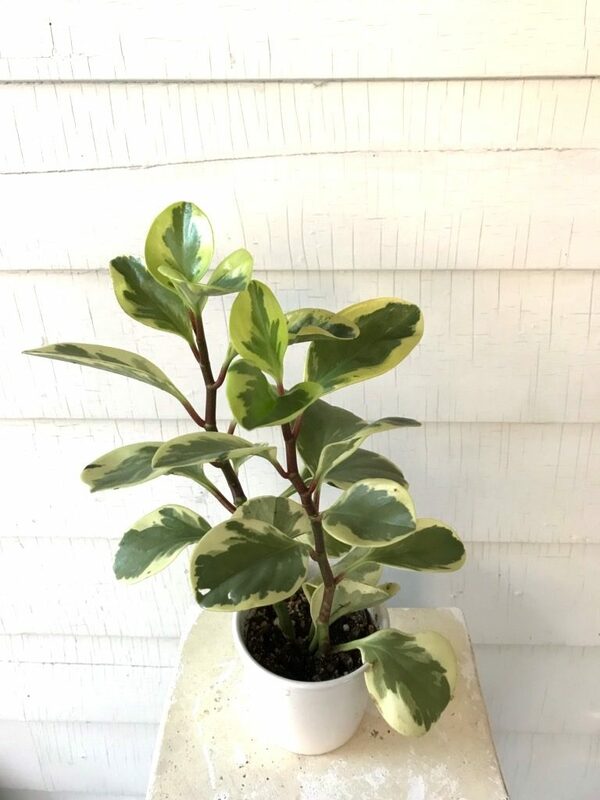 Do you have any experience with a ZZ plant? I recently acquired one but have read that they are toxic to cats. Their leaves are not grass-like at all, so I think my cats would avoid them, kind of like yours do with the rubber tree. What do you think? Hi Kristen! I have a ZZ plant at work only and no longer in my home as they are toxic and my cats liked it a bit too much. I would suggest trying it out and monitoring your cats with the plant and see what happens. Because ZZs are a bit more toxic than Rubber trees, I would be a bit extra cautious. If you see any issues, I’d move it to a tall shelf out of paws reach.